I have a new grandson! Yippee! And of course he is the cutest thing ever!! I watched with interest, over the nine months we waited for him, at the reaction or lack thereof, that my mother was experiencing. She would only ask questions when I specifically mentioned my daughter or the pregnancy, but did not show the enthusiasm or interest I had expected or hoped. Then when he was to be born, and I left my mother to go be with my daughter, she seemed to understand my need to go and be there, but she also expressed her desire for me to come home soon. When I called to tell her the baby had been born – again not much enthusiasm. And of course, I rationalized all of this. My mother had always been a negative, “glass is half empty” person. She would rather not joyfully anticipate things as ” something might go wrong”. I also reminded myself that her dementia might be interfering with her ability to be enthused about the baby. Ah..but then the first visit. Great Grandma immediately held out her arms to take that baby! And the physical weakness we often saw was not present when she cradled him in her arms. When he began to fuss, she immediately began the humming and rocking that my sister and I had experienced in her arms and that she had used with all her grandchildren. And now he has become ” the prettiest thing I have ever seen.” -her words. There are many theories and philosophies on dementia. Many say the person becomes “lost” – that the essence of that person no longer remains. That once the brain is ravaged by dementia, the person is lost One dementia expert Dr. G. S. Robertson wrote in 1983, that the person moves in to a “cabbage like existence”. Others, like my friend and dementia specialist Penny Garner, believe that the true essence of the person remains – that details are forgotten, but the soul, the base, the essence is still there and the person should be treated as such. One of the key factors in Tom Kitwood’s “Person Centered Care” philosophy is that we all need a purpose in life, an occupation – no matter what the illness that plagues us may be. From my years of study in the field of dementia care and from my own observance – I believe it is true. Whether it is the great strength of “motherhood”, the essence of person centered care, a basic human response to our need for “occupation” – does not matter. The point is, it’s still in there. 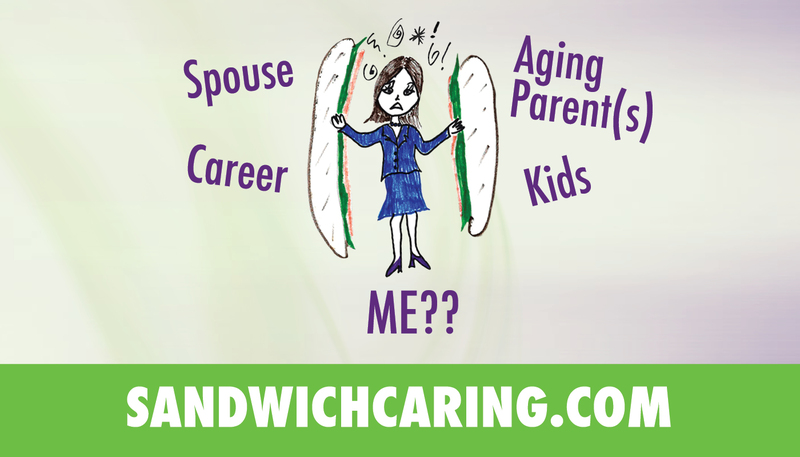 Please visit http://www.sandwichcaring.com and “Like” us on Facebook. This entry was posted in caregiving, life challenges, parents, sandwichcaring on August 27, 2013 by janestory.